Los Rieleros del Norte ("Railers of the North") is a Mexican norte?o band. Founded in the southwestern U.S. town of Pecos, Texas 1979 by Manolo Morales, Los Rieleros del Norte is one of the oldest norte?o bands still playing today. Morales called the band "Los Rieleros" because he formerly worked at the railroads of Chihuahua, Mexico. Unlike many other norte?o bands, the Rieleros del Norte use both the saxophone and accordion in their music, creating a dual-instrument hybrid distinct from other norte?o bands. All original members of the band are natives of Ojinaga, Chihuahua a town from where many other saxophone-norte?o bands have come from. Currently, the band's leader is Daniel Esquivel. The band's current members are Daniel Esquivel, lead singer and accordionist; Daniel Esquivel Jr., playing the bajo sexto; Javier Esquivel, electric bass; Alfredo Esquivel, drummer; and Eugenio "Pemo" Gonz?lez Jr., saxophone player. In the past, Polo Ur?as was the band's lead singer, who has left Los Rieleros to start his own musical group, Polo Ur?as y su Maquina Norte?a. Several years ago, the Rieleros ensemble had two bajo sexto players, one of which was the band's founder, Manolo Morales. Manolo the founder of the band has since left and began another band, los Rieles. 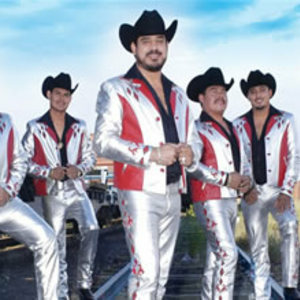 Los Rieleros del Norte have also helped begin a new band called La Maquinaria Nortena which feature 3 former members of the Polo Urias band. The actual founder and the person that named the band was not Manolo Morales like it is described above. He so claims and has also gone to court to obtain the name of Los Rieleros del Norte. It will soon be known who the actual person that founded this group is. While there are many speculations as to who founded the group, both the current leader Daniel Esquivel and Manolo Morales know exactly who the founder or better yet, who actually came up with the name of the group. While this unnamed person has not wanted to go to court over rightful ownership of the name, both parties have acknowledged that the person that founded the group is Manuel"Me?o" Lujan, also of Pecos. Both Daniel Esquivel and Manolo Morales in a morning radio show called "Piolin por la ma?ana" agreed that Manuel Lujan is the original founder of this band. To both their fortune, Manuel has not wanted to get involved in the legal matters of this, however, the truth will be known soon...to everyone, legally, and the fans. On the court of law in the United States in El Paso, Texas a Federal Judge gave all rights to Daniel Esquivel (lead singer of Los Rieleros) making him the rightful owner of the group and prohibiting Manolo Morales any type of connection to Los Rieleros. For a short time Manolo began using the name of the group fooling many people in turn for his own wealth. Daniel Esquivel says he will continue to play for the people with the quality that the fans want with no more interruptions or fraudulent acts from other sources.